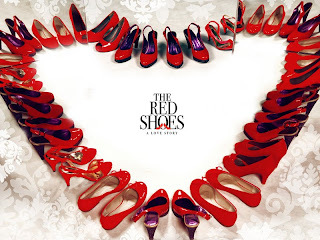 The Red Shoes is a love story about what happens to 1 pair of the First Lady’s shoe collection, after it is stolen by a young boy. 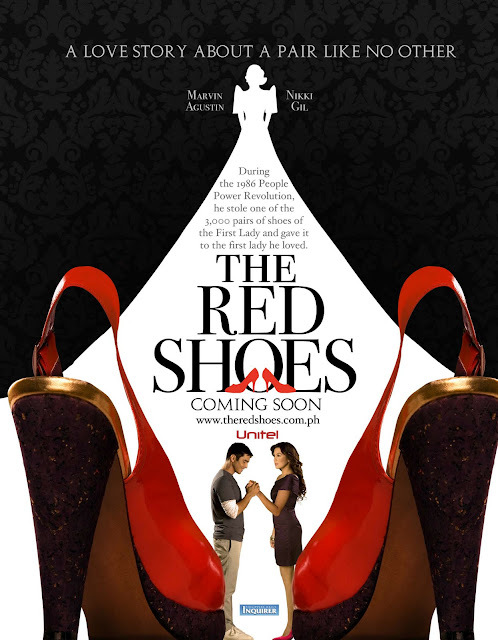 In 1986, Ten-year old Lucas Munozca catches sight of the first lady's 3000 pairs of shoes and steals a lovely red pair, he gives one shoe to his childhood sweetheart, while he gives the other to his widowed mother. In 2006, Lucas is stuck with his past, unable to move on from losing the love of his life. When his mother suddenly needs to complete pair, Lucas is forced to confront the consequences of stealing the shoes and to reveal why he did it. Starring Marvin Agustin and Nikki Gil. Directed by Raul Jorolan. The film will be released nationwide on March 10, 2010.